Millions of drivers are putting themselves and other road users at risk because they’re driving cars without a valid MoT, according to research by the Driver Vehicle Standards Agency (DVSA). 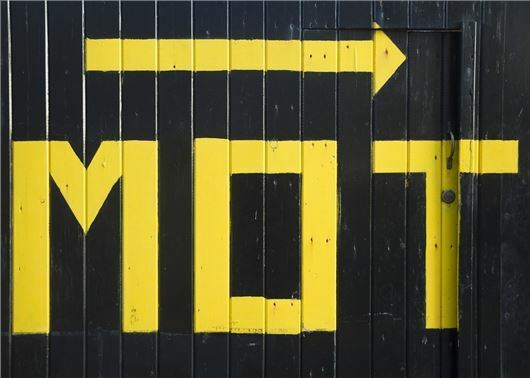 Some 30 million MoTs are carried out in the UK every year, but new figures from the DVSA claims that one in four cars will have an expired MoT by the time it reaches the test station. The DVSA says that the root cause for this is down to drivers simply forgetting to have their MoT renewed on time, rather than deliberately avoiding having the test done. The worrying statistic coincides with the Government's controversial consultation to extend the first MoT for new cars from three to four years. If given the green light, the four-year MoT exemption would allow 385,000 vehicles - that would have failed their first MoT – to remain on the road unrepaired. An MoT test currently costs a maximum of £54.85 for a car; however, if caught with an expired certificate, drivers face a potential fine of £1000, with the only exceptions being if the vehicle is being driven to a repair or is being taken to a pre-booked test. 'The annual MOT checks that important parts of your vehicle meet the legal standards at the time of the test,' said DVSA Chief Executive, Gareth Llewellyn in a statement. HonestJohn.co.uk readers can keep track of MoT results, Road Tax, Ask HJ questions and more with our free and unique user homepages. By simply entering a few basic details about your car(s), you can receive timely reminders for MoT and Road Tax renewals, as well as staying up to date with the latest Real MPG ratings and Ask HJ Q&As. If these vehicles have no MOT, then am I correct to think they'll not have Road Tax (VED) and or Insurance..? To "forget" to have an MOT seems somewhat careless, if a vehicle is on annual services and the MOT is done at the same time, can one assume they're not being serviced either? If they can remind you about car tax on your computer why can’t they do so for MoT? I have mine down as a reminder and I need it as it is at a different time from Service and tax.
' Forget ', my a*** , everyone knows when their ' road tax ' is due ! It now being non - transerable , it's due on the month you bought the car. How difficult is that to remember ? If the DVLA can send you an email reminder for your Road Tx. Why not for your MOT.